Year: 2012-2014. Client: Estee Lauder, New York. Estée Lauder companies, the internationally renowned manufacturer of prestige fragrance products, chose Tarek Atrissi as the designer to collaborate with for the creating of a new brand of perfume by Aramis developed specially for the Middle Eastern consumer, “Aramis Calligraphy”. The project involved creating an attractive packaging design that reflects the concept of blending the art of calligraphy with the art of perfumery; and to create a system for the packaging design to allow the brand to introduce multiple fragrances under the same series, yet keeping a general unified brand recognition. The challenge was to create a design that appeals to both men and women since the scent is unisex, and that retains the rich history of the Aramis brand and the general Estee Lauder approach to product design. 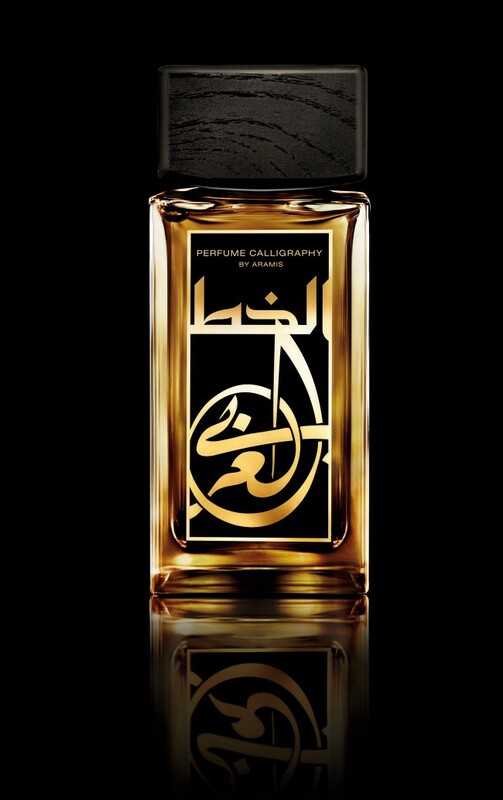 The debut introduced “Aramis Calligraphy” in 2012, using black and gold colors and a mix of calligraphic styles, was a huge success and was a best selling exclusive product across duty free airports in the Arab world and in Harrods London. Aramis expanded its Perfume Calligraphy series first with a new Rose scent in 2013, and a new Saffron scent in 2014 using a yellow-orange golden color. The main component of the packaging design was handcrafted Arabic calligraphy, created in various styles depending on each scent and always shaped in a unique way to fit both the bottle and the box of the perfume. Tarek Atrissi became the designer associated with the brand’s look and feel, and in keeping with the line’s established brand codes, Estee Lauder extended its collaboration with Atrissi for the design and creation of 4 new additional scents to be added to the family of Aramis Calligraphy.